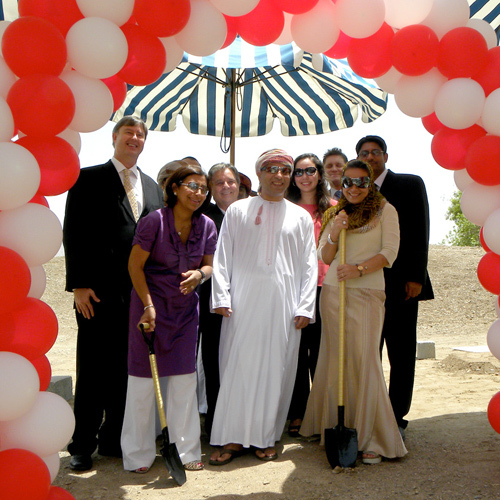 Yahya Real Estate, a subsidiary company of Yahya Group Holding, headed by General Manager Tony Ward, has broken ground on its latest development. Branded as Dolphin Plaza, the development will serve the retail and food needs of Dolphin Village residents as well as the greater Bausher community. 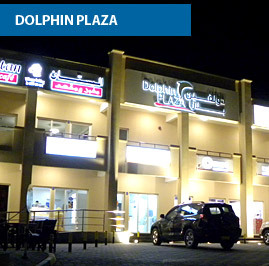 Dolphin Village currently has 380 residents. New units are under construction and the population will continue to increase. Bausher is also a huge growth area of the city and the demand for retail and food offerings continues to grow. On 2 levels, this commercial facility will be anchored by Omart, a convenience store established and operated by Enhance, a WJ Towell Group company. Other spaces will be Al Bustan Bakery, who are re-launching their brand with a wider and improved selection of products, Best Burger and Gelo Fredo premium ice cream, both local Omani brands established and operated by Platinum Dreams, Snowhite Laundry, established and operated by Yahya Industrial Services and Oman’s market leader in laundry and dry cleaning services, and Delfino’s Pizza, a new brand being launched by Yahya Lifestyle.